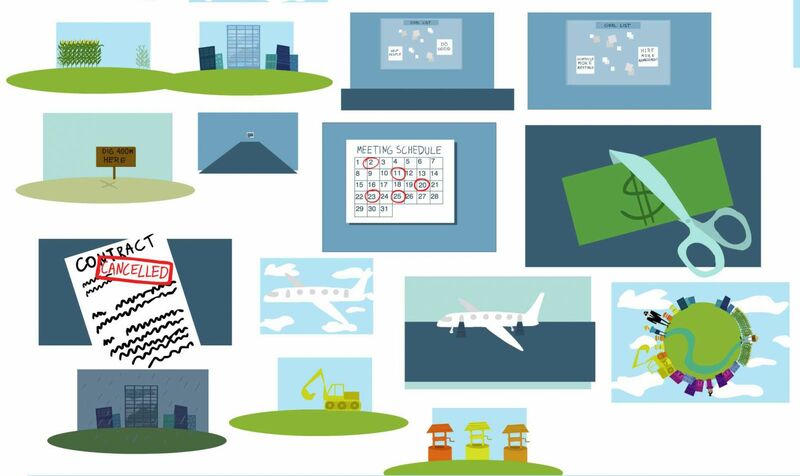 What is Wrong With the Global Aid Business? 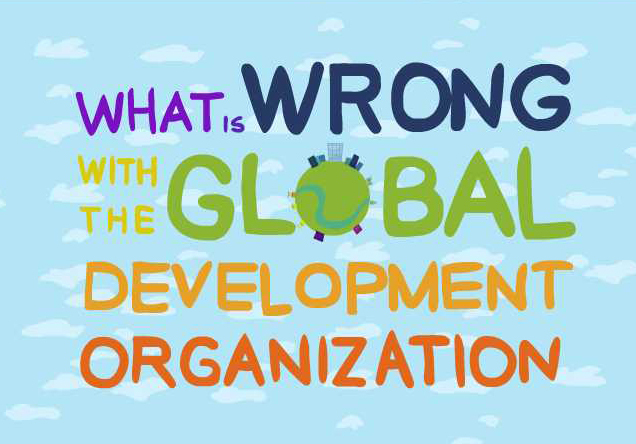 Our latest project is titled: What's Wrong with the Global Aid Development Organisation? It's a commission for a compan that does exactly what the title suggests. They build schools, they dig wells, in short, they do everything to help diverse communities around the world clamber out of poverty. So, a good cause, and one worth fighting for. The theme of the film is how the organisation works (or, on occasion, doesn't), and what can be done to make it work better. All big organisations are subject to "bureaucratic capture" - ie they can end up getting run for the benefit of the people running them. So our film is all about how to avoid that happening. As with any project, we start with a script, getting approval from the client so they are happy to move forward. Making changes at this stage is very, very inexpensive. 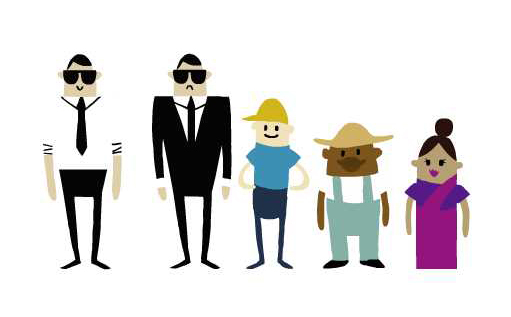 We also show the client examples of other animated films we like, so that the client can get a feeling for how the film will eventually appear, and we can get a feeling for their taste, their likes and dislikes. Then we record the voices, narration if there is any, and storyboard the film, editing together the story panels along with sound effects, music and whatever else we need to make a finished animatic - a kind of animated story reel that helps give a feeling for the shape and flavour of the film. Meanwhile we finalise our character designs, and do a colour script so we can get a feeling for how the shots will unfold. We also have to design props, so the animators (who are working in Flash) have all the assets they need to do the job. Everything goes for client approval, so there are no headaches later on. And, hopefully, everyone ends up happy.